Share the post "News: RAMBLIN’ MAN FAIR – Cheap Trick added to Saturday line-up (19-21 July 2019)"
Ramblin’ Man Fair have announced their Saturday main stage headliners at this year’s event (19-21 July 2019). Black Stone Cherry will bring their southern-edged hard rock style, promoting their acclaimed current album ‘Family Tree’. 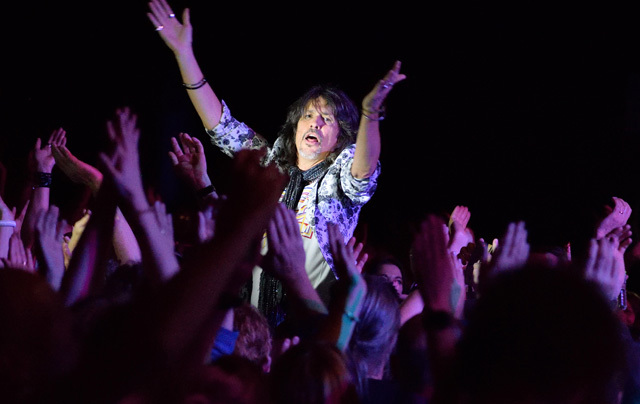 They join the previously announced headline acts – Foreigner (Sunday, pictured) and The Darkness (Friday). The full festival line-up so far announced is listed below. Cheap Trick, Inglorious, FM, Jimmy Barnes, Wayward Sons and Raven Eye have been added to the main stage line-up. This entry was posted in Festivals & Large Events, NEWS and tagged Black Stone Cherry, blues, classic rock, country, festival, Foreigner, July 2019, Maidstone, Mote Park, Progressive Rock, Ramblin' Man Fair, The Darkness. Bookmark the permalink.